"A second reason for failure is trying to look like a Starbucks and act like a Starbucks." Several years ago a new coffee shop opened, only to fail within 6 months. I later learned the two owners had strong accounting and finance experience, but it was not enough for success. Soon after their closing, one of our retail customers decided to buy this defunct coffee shop. She completely rebranded the business, selected all new wholesale suppliers, and the coffee shop went on to eventually be voted by their customers as the "Best Coffee House" in the entire state! So, why did the previous owners fail, but the new owner is having outstanding success, in the exact same location? Many reading this might be planning to open a coffee shop and are asking yourself; how do I create a successful coffee shop and compete with the likes of Starbucks? Or you may already in operation and asking the same thing. Unfortunately, many start a coffee shop on a whim. They have no business plan, no financing, no location, no equipment and often no clue. Experienced industry professionals see the red flags immediately. Many start down the path to business ownership without really understanding what it takes to succeed. There are many factors that contribute to success. But the number one reason for coffee shop failure is poor planning. A second reason for failure is trying to look like a Starbucks and act like a Starbucks. Unless you have an exclusive monopoly on a very high demand location, success is not easy nor automatic. You will need to differentiate your cafe in a variety of ways. This is the most important and the first step in starting a successful business. It is many times given only cursory attention. Some will start a coffee shop and proceed with only enough information to lose their life savings. Some don't know what a business plan is or where to start. Some proceed on a wing and prayer. I will let you in on a little secret. There is no absolute right or wrong format for a business plan. The secret of developing a good business plan is to ask yourself (and answering of course!) the right questions. The magic occurs when you crystallize your thoughts and put them down in writing. Your vision, and the path to reach it, becomes clear. We have prepared a list of some questions you can use to prepare your own business plan. Make sure to review our Business Planning Questions. 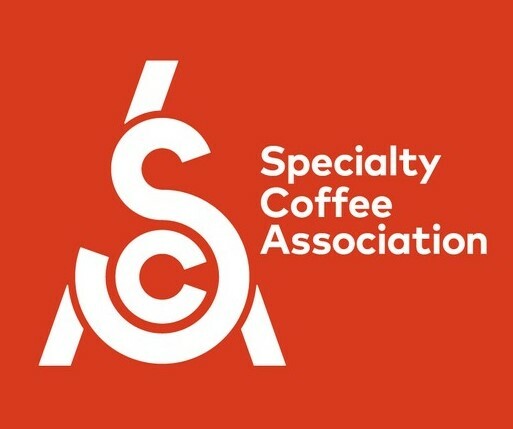 Also, here is very valuable coffee shop business planning free resource from The American Barista School - Bellisimo Coffee Advisors which includes details of the estimated costs starting a coffee shop. One of the results of a good business plan will be a clear understanding of what and who you want to become. With that picture etched clearly in your mind (and on paper) you have the vision to create your branding strategy. Your brand strategy is a subset of your business plan. 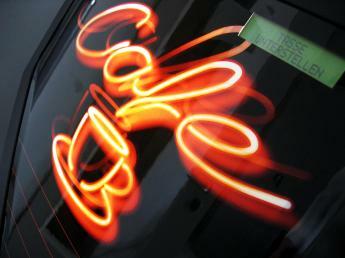 Your brand strategy will drive the development of your culture and the ambiance of your cafe. Effective branding uses all sensory means available to create a lasting impression of your identity in your customer's minds. You are trying to buy space in their brain. Everything they see, touch, hear, smell and taste has the potential to contribute to your brand identity. Most importantly, a successful brand will create customer loyalty. I highly recommend using a professional designer to create your brand imagery. Professionals are experts at selecting appropriate colors and designing images to support your brand identity. Hiring professional graphic design says a lot about your business, and it also says a lot if you don't make that investment in your success. Remember, first impressions are truly lasting impressions. It is easy to recognize the difference between amateur and professional. You should also adopt the mindset to brand everything. Not just mugs, cups, and uniforms, but also counters, walls, windows and chairs. This doesn't necessarily mean your logo is on everything. For example: If your theme is organic coffee and food, could you use recycled paper products, hand-made pottery mugs, or hand-made wood furnishings? If your theme is 1950s' Retro, can you picture the red & white decor, the vinyl booths, or the chrome counter? If your theme is a coffee & gaming environment, can you picture a Monopoly Board painted on the floor of the entire cafe? Even a signature hello and goodbye greeting your employees use to welcome your customers could support your unique brand. I recommend reading everything you can about branding. A must-read, online resource to learn more about branding and other methods to grow a business is MarketingProfs. Besides good planning, a few other key strategies to success, include the following. Remember the days when you simply ordered a "cup of coffee" and the server didn't ask 5 follow-up questions to understand what you really wanted? Today, consumers want more variety than ever. This actually creates opportunity to be creative on your coffee and food offerings. Will you be a coffee and wine bar? Will you offer more exotic products such as gelato? Will you offer Organic or Fair Trade Certified products? Will you go for a little class and serve Pourovers or French Press-Pots? You may also develop a variety of profit centers such as office catering, hosting in-house meetings, selling gift cards and merchandise, etc. Organic coffee has grown dramatically within the specialty coffee industry in the last couple years. In addition, offering Fair Trade Certified coffees continues to gain awareness in the consumer community. Some successful cafes have organic offerings as their dominant theme. This strategy attracts a huge following among the 30, 40, and 50 something female population. It also strikes a vibrant chord among both genders in mid to upscale urban areas. The opportunity for an organic strategy extends to food, smoothies, deserts, ice creams, chocolates and teas. It should go without saying to offer the highest quality products from reputable suppliers, with a track record. I am amazed as I visit coffee shops how bad their coffee and espresso can be. This is due to low grade coffee beans, unskilled roasting or poor brewing methods. These businesses will eventually die. Use fresh roasted, specialty grade coffee. This costs more than commodity grade, coffee-off-the-shelf, but is critical to producing the best cup. Don't take shortcuts on cheap equipment. Feature pour-over brew options in addition to traditional brewed coffee. Invest in continual training for your staff for quality and consistency. Their passion for education will spill over to your customers and will develop unwavering loyalty. In conclusion and in your favor, McDonalds are beginning to look more like a Starbucks and Starbucks are beginning to look more like a McDonalds. The independent cafe owner should be on their knees thanking God that McDonald's entered the specialty coffee market. In the mind of the consumer, the lines are beginning to blur and it will make it that much easier to differentiate yourself. Who knows? Maybe a McDonalds/Starbucks merger is in the future. Maybe it will be called "McBucks". At Specialty Java Inc. our goal is not simply to be your wholesale coffee roaster. If we can help you succeed, it will help our success too. Excellence in coffee is a pursuit, not an end. Never stop. While the ideas above are not everything required, they are tactics that will help set you apart from the rest, and improve your odds of bucking the bronco and winning!